After the struggle to be ‘productive’ during the last two weeks I’ve found my rhythm this week. Small tweaks in my daily routine brought the change I needed which was reinforced by inspiration. I had all this activities on my list like ‘complete reading book’ ‘watch course on typography’ and I wasn’t making progress. I started creating a habit of defining three things to complete the next day and I break them down in small parts. Like ‘read chapter 2 of this book’ or ‘outline this blogpost’. The next day after my morning routine I immediately get going and it’s easy to make progress. Action creates motivation and I felt energized all week. This, however had a downside as I was still full of energy going to bed, which hurt my sleep. With my phone next to my bed it was tempting to browse the internet or catch up with my favourite vloggers. Starting last night my phone is forbidden in the bedroom. Let’s see how this tweak to my daily routine impacts my productivity and sleep. It was also an inspirational week. Last week Eric Ries’ new book The Startup Way was released. I immediately started reading and felt inspired. I’m only a few chapters into the new book yet but it’s interesting to recognize many of the elements that were part of the Innovate EY program described in the book. 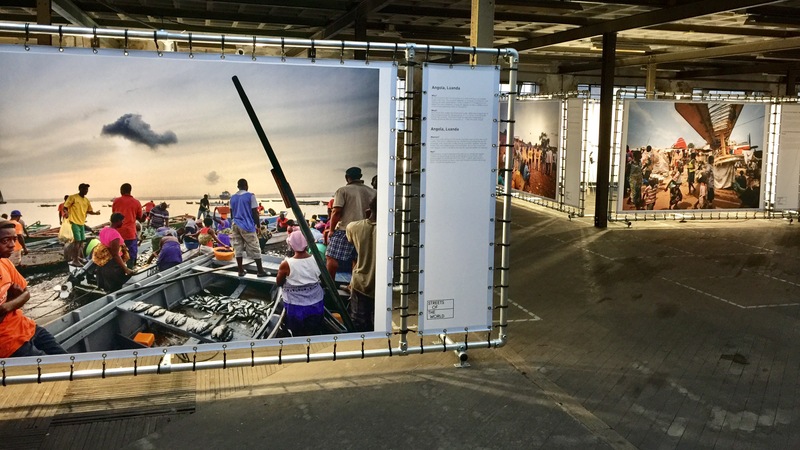 The biggest inspiration of the week was due to the ‘Streets of the World‘ photography exhibition I visited on Friday. Photographer Jeroen Swolfs completed his passion project to take a street photo in every capital of the world. The 195 photos form an interesting documentary of humanity around the globe. It left me wondering what photo project I can take up that would be exhibition worthy. I can highly recommend the 45 minute National Geographic documentary (in Dutch) about this project.